In the 21st century of office design and functionality, ergonomics reigns supreme from chairs, keyboards, desks, and everything in between. With so many people around the world working in office jobs, sitting has become part of our day-to-day lifestyle in the workplace. When you are sitting for eight to nine hours a day, five to six days a week, sitting in the proper position becomes crucial to your health over a long period of time. Sometimes however, it can be difficult to be aware of your sitting position week after week as there is only so much you can do on your own. This is where selecting the proper ergonomic chair comes into the equation as the right chair can do wonders for you day-to-day comfort and healthy, as well as the overall comfort and happiness. 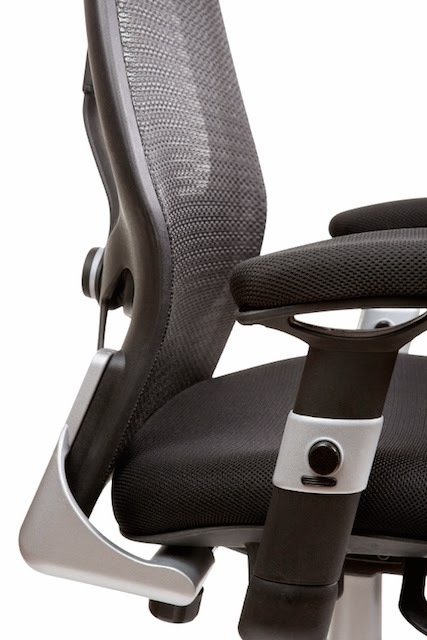 So what exactly is ergonomics and what goes into designing an ergonomic chair? You may be asking yourself this question as find yourself out shopping for your office furniture purchase. One of the biggest benefits of an ergonomic office chair is the proper alignment it places your spine in which will reduce the amount of stress and pain your will feel on your back over an extended period of time. There are many important factors that go into designing the proper ergonomic chair, from seat height, width and depth, lumbar support, and the backrest. 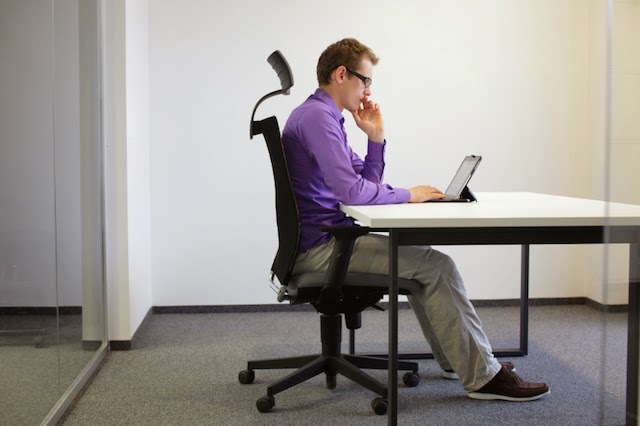 In the category of seat height, an ergonomic chair should be easily adjustable and at the proper height, the person sitting in the chair should have their feet flat on the floor with their thighs parallel to the ground, and their arms parallel to the height of the desk as to reduce strain on the wrists when in the typing position. As far as the size of the seat itself, the standard with will be a bout 17-20 inches and there should be about 2 inches between the knees and the front edge of the seat when you factor in the proper depth of the seat. The backrest of a proper ergonomic chair is incredibly important as it will be a determining factor in what shape you back is in on a day-to-day basis and in the long run of your health. The backrest should be anywhere from 12 to 19 inches wide and if it is not connected to the seat, should be adjustable in both height and angle. The natural curve of the spine should be well supported by the backrest to avoid lingering back pains and injuries. If you are sitting in an office chair all day, selecting the correct ergonomic chair is an important purchase for your long term health and happiness. Shop around and make sure you pick the right chair for your needs and wants and you will be a happier worker.